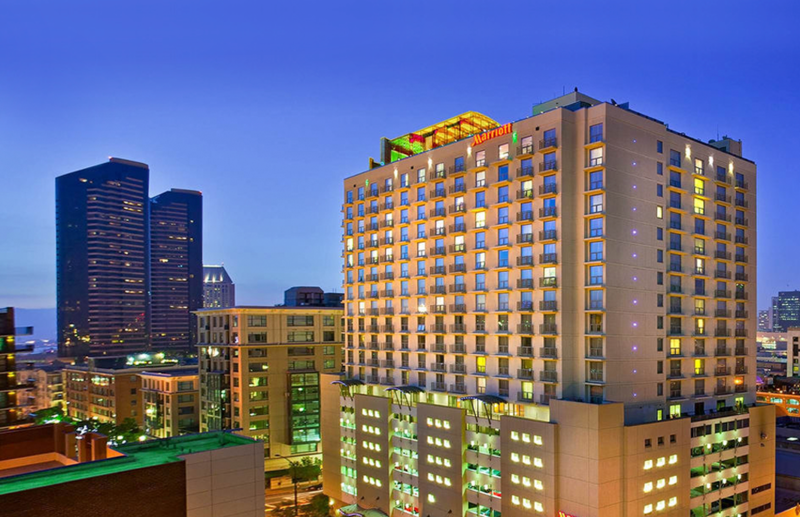 Located in the vibrant Gaslamp Quarter of downtown San Diego, the 22-story Marriott San Diego has 306 guestrooms, a club lounge, full-service restaurant, rooftop bar, meeting facilities, exercise facility, and a parking garage. The Marriott is just steps away from the San Diego Convention Center and the baseball stadium. It has commanding views of San Diego Bay, Coronado, and Mexico.